Download Full HD MP4 Video Song Issaqbaazi from the Movie Zero. You can download Issaqbaazi (Zero) 720 P & 1080 P High Definition MP4 Blu-ray Quality video to your device for free. 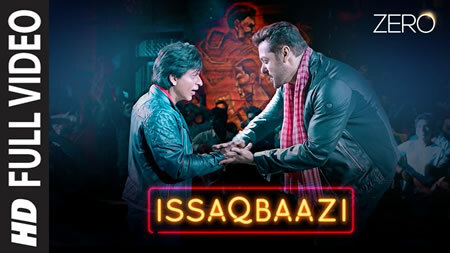 This song titled “Issaqbaazi” (Full) Song is from the film Zero, Sung by Sukhwinder Singh & Divya Kumar. Zero movie starring is Shah Rukh Khan, Anushka Sharma, Katrina Kaif, Tigmanshu Dhulia, Sushrii Shreya Mishraa, Salman Khan, Ganesh Acharya, R Madhavan, Sridevi, Karisma Kapoor, Kajol, Madhuri Dixit, Kareena Kapoor Khan, Alia Bhatt, Rani Mukerji.